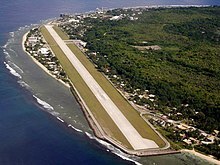 Nauru is a phosphate-rock island with rich deposits near the surface, which allowed easy strip mining operations. It has some remaining phosphate resources which, as of 2011[update], are not economically viable for extraction. When the phosphate reserves were exhausted, and the island's environment had been seriously harmed by mining, the trust that had been established to manage the island's wealth diminished in value. 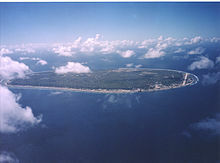 To earn income, Nauru briefly became a tax haven and illegal money laundering centre. From 2001 to 2008, and again from 2012, it accepted aid from the Australian Government in exchange for hosting the Nauru Regional Processing Centre, an offshore Australian immigration detention facility. 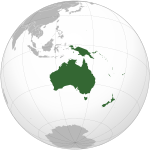 As a result of heavy dependence on Australia, many sources have identified Nauru as a client state of Australia. 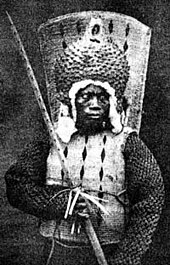 The main religion practised on the island is Christianity (two-thirds Protestant, one-third Roman Catholic). The Constitution provides for freedom of religion. The government has restricted the religious practices of The Church of Jesus Christ of Latter-day Saints and the Jehovah's Witnesses, most of whom are foreign workers employed by the government-owned Nauru Phosphate Corporation. 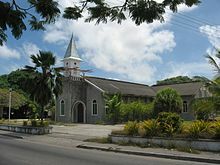 The Catholics are pastorally served by the Roman Catholic Diocese of Tarawa and Nauru, with see at Tarawa in Kiribati. The previous community public library was destroyed in a fire. As of 1999[update] a new one had not yet been built, and no bookmobile services are available as of that year. Sites with libraries include the University of the South Pacific campus, Nauru Secondary, Kayser College, and Aiwo Primary. The Nauru Community Library is in the new University of the South Pacific Nauru Campus building, which was officially opened in May 2018. ^ Pollock, Nancy J (1995). "5: Social Fattening Patterns in the Pacific—the Positive Side of Obesity. 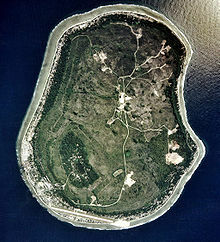 A Nauru Case Study". In De Garine, I. Social Aspects of Obesity. Routledge. pp. 87–111. ^ Matau, Robert (6 June 2013) "President Dabwido gives it another go" Archived 26 September 2013 at the Wayback Machine Archived 26 September 2013 at the Wayback Machine. Islands Business.